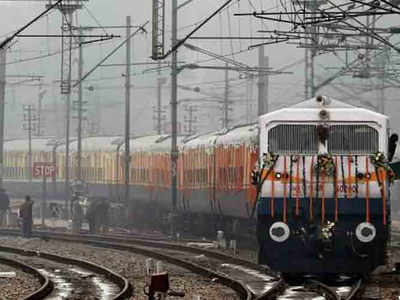 BHOPAL: Two railway Staffers died after being hit by a train in Madhya Pradesh‘s Sagar district, an official said on Saturday. The deceased were working with the railway’s signal maintenance wing, West Central Railway’s Bhopal division public relation officer I A Siddiqui said. The two men were engaged in the signal repair work last night when the Hazrat Nizamuddin-Chennai Central Rajdhani Express ran over them at Bina, about 150 kms from here, he said. I Rented a Trade Show Exhibit…What Do I Do Now?